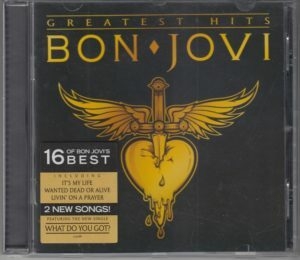 16 What Do You Got? 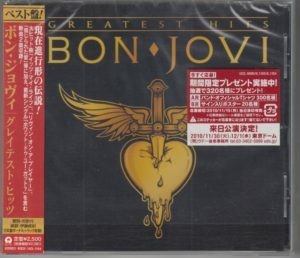 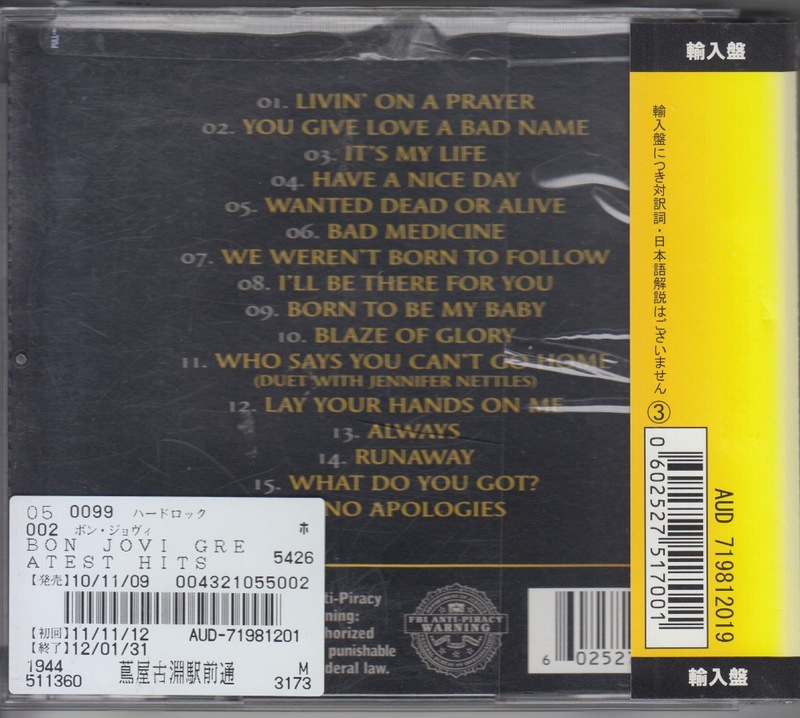 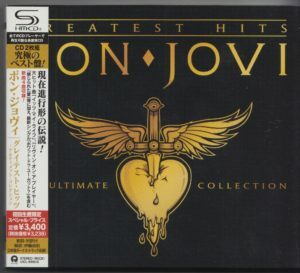 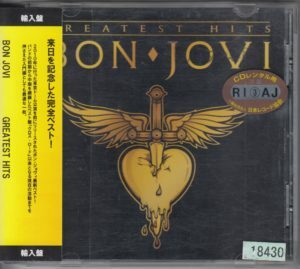 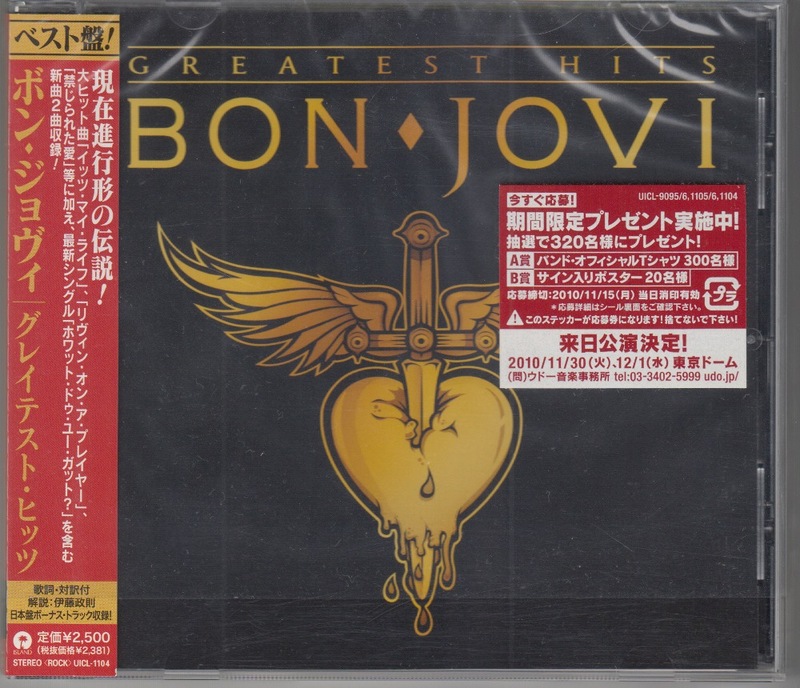 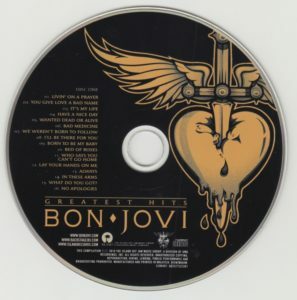 Japanese Edition CD. 2017 reissue version. 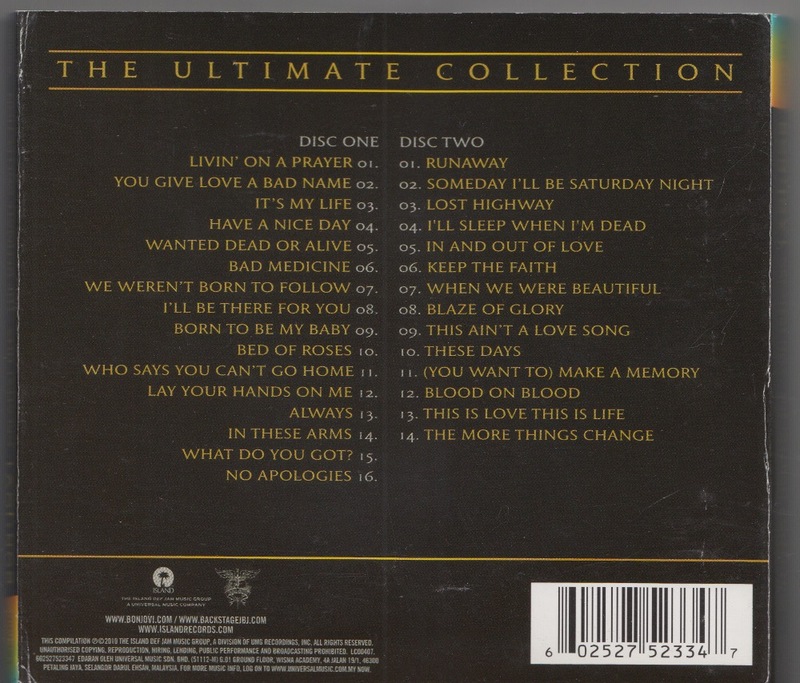 Limited edition released as part of “Lucky Price! Campaign”. 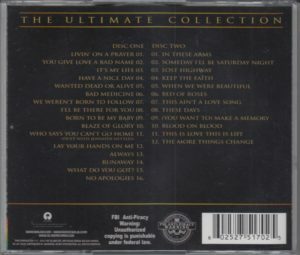 Items replaced at the time of release in 2010 (Case notation remains as it was released in 2010). 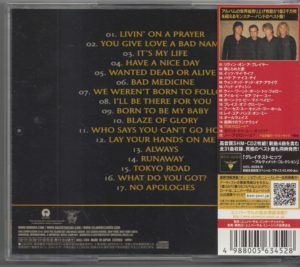 Tokyo Road is a bonus track with only Japanese version. 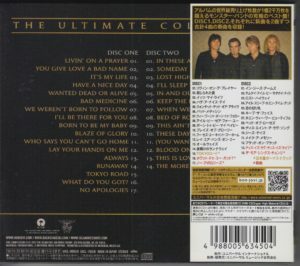 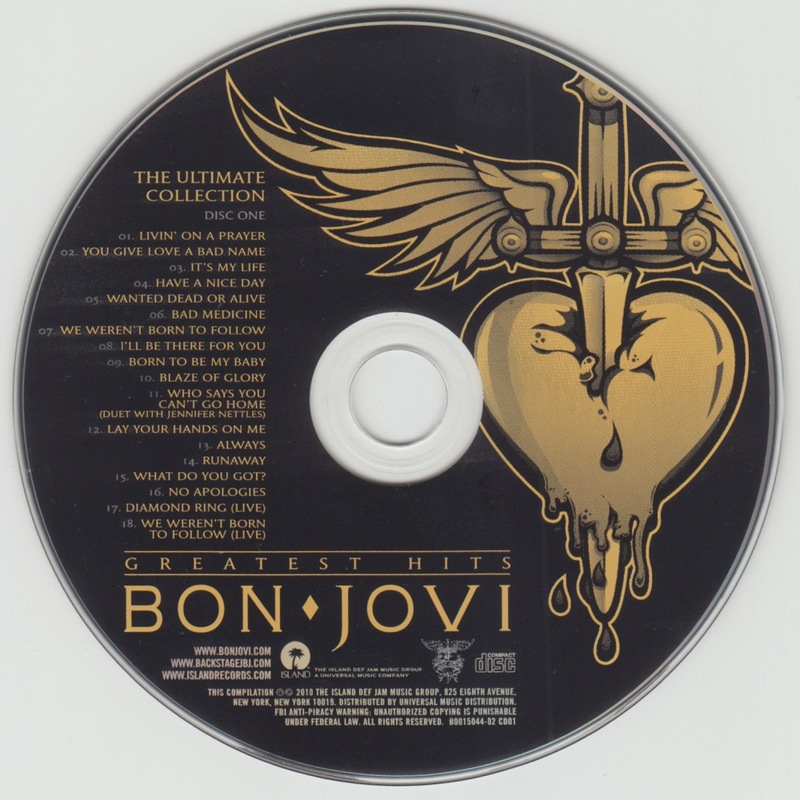 MALAYSIA 2CD Edition. 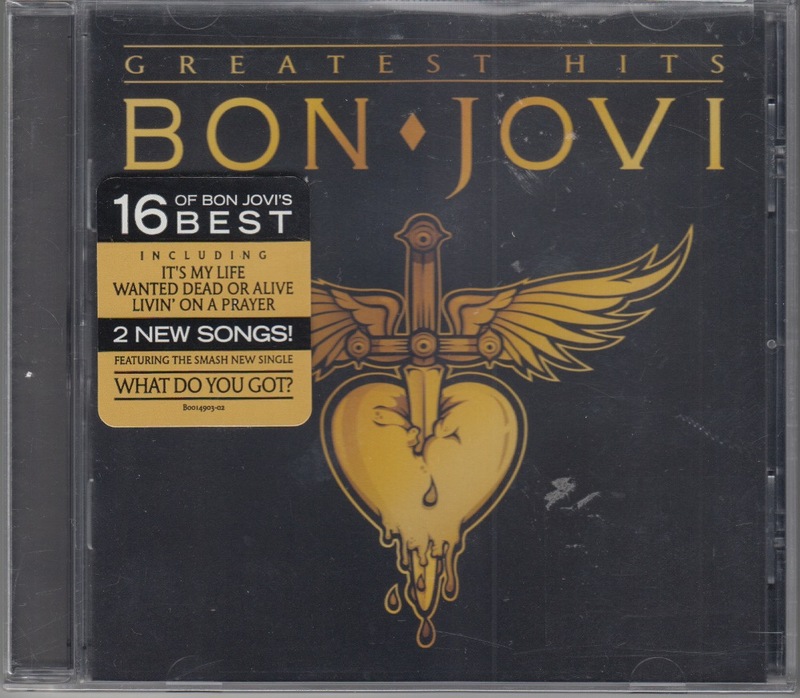 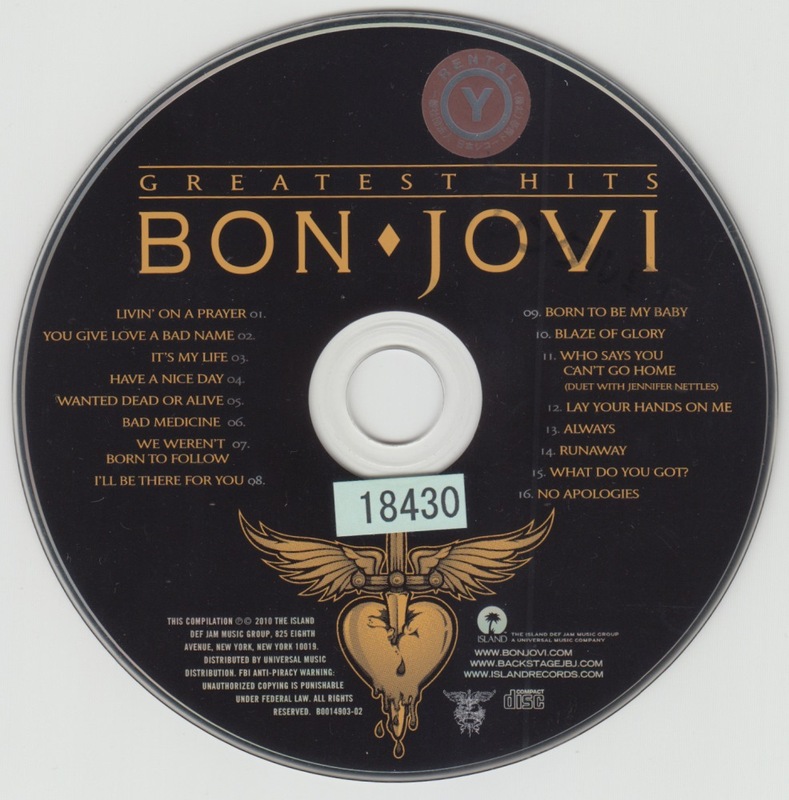 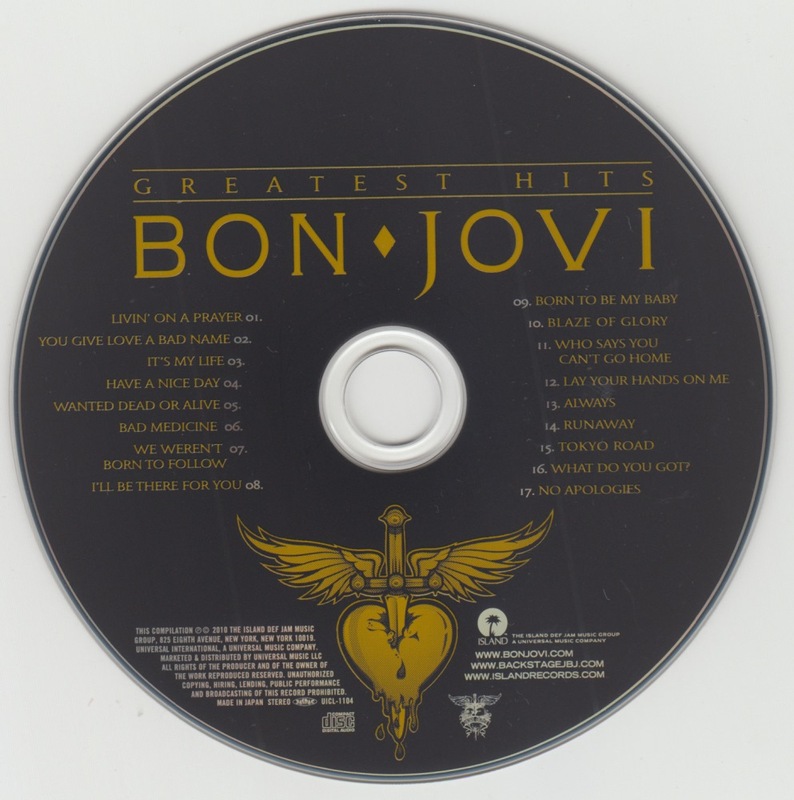 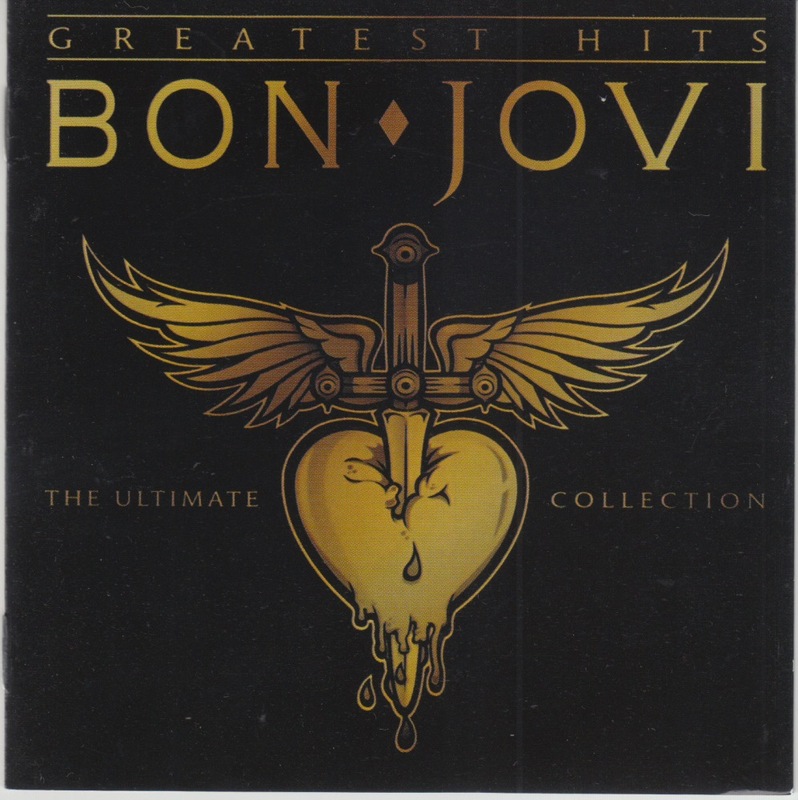 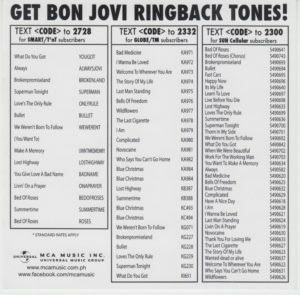 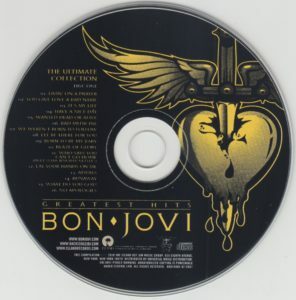 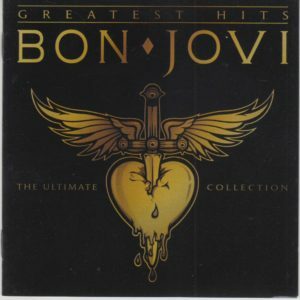 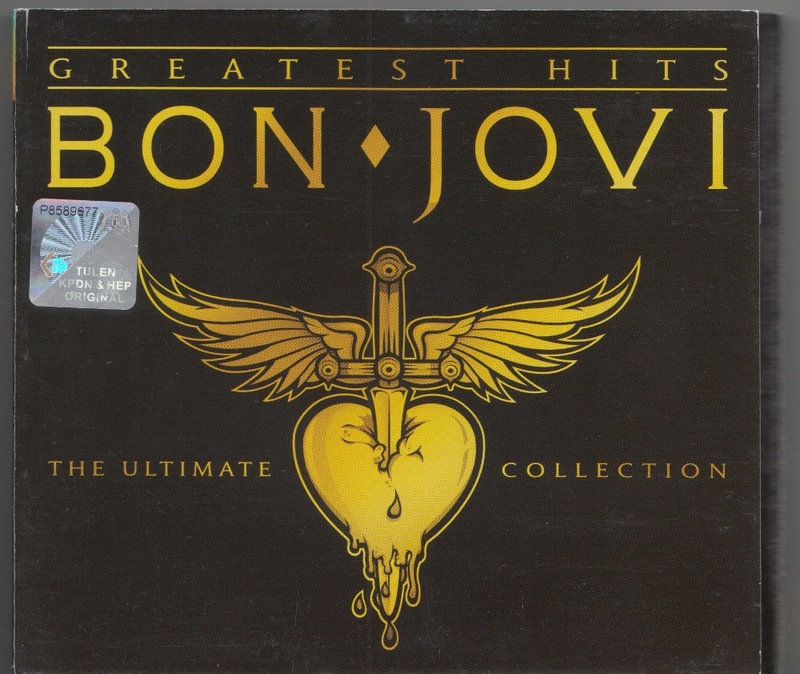 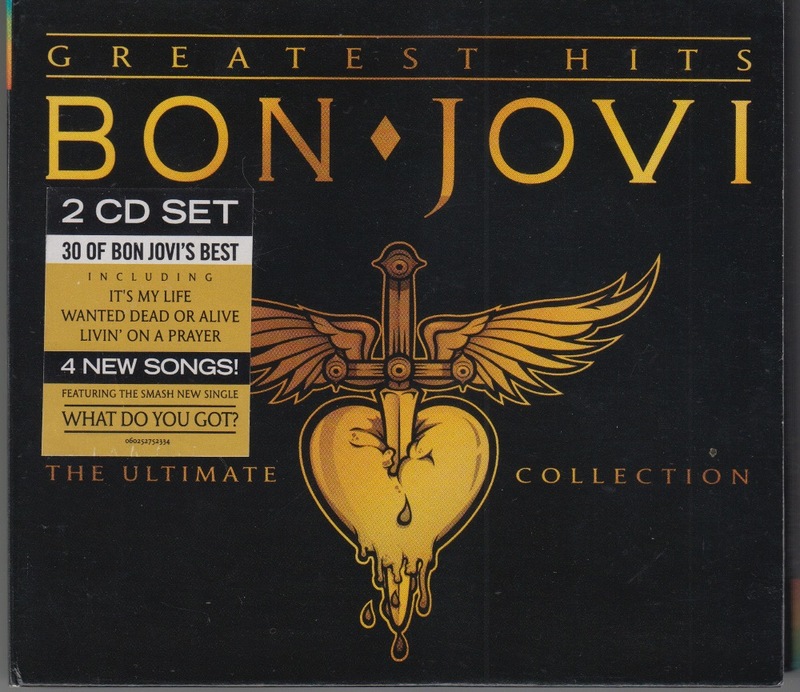 Includes a list of telephone ring tones (ringing tones heard by the caller) by songs of BON JOVI. A hologram seal is affixed. 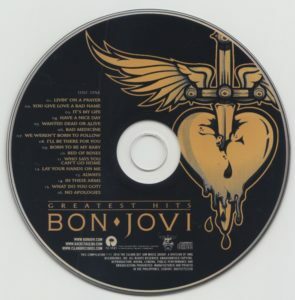 EU edition CD (MADE IN GERMENY stamp on CD). 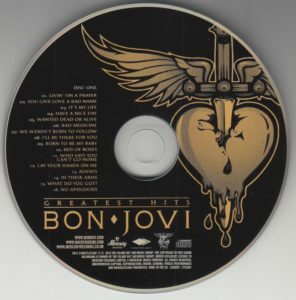 Despite the single CD version, there is the character “DISC ONE” on the CD. 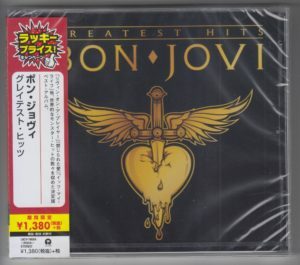 Japanese Edition CD (1 CD version is not a high quality CD but a normal CD). 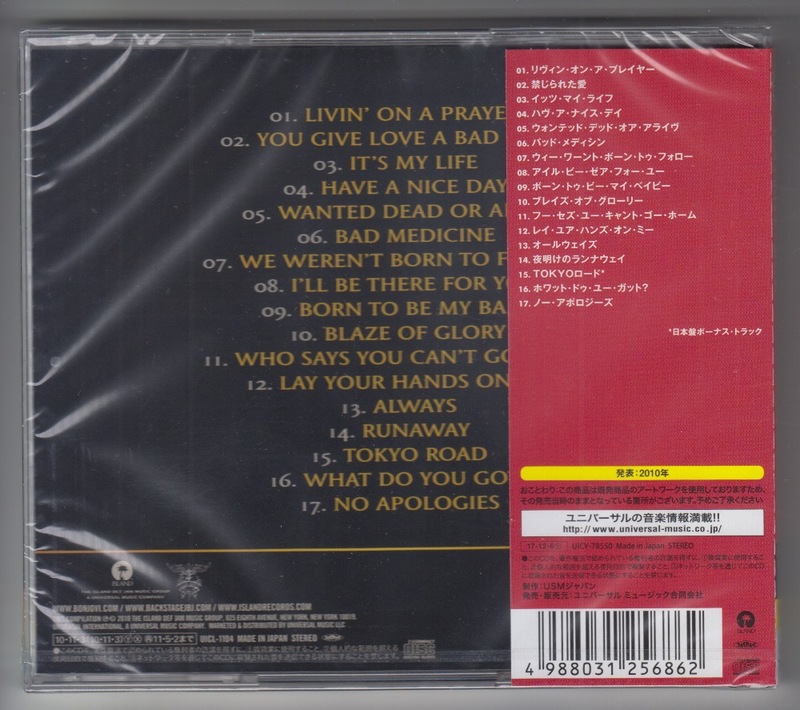 Tokyo Road is a bonus track containing only Japanese version. 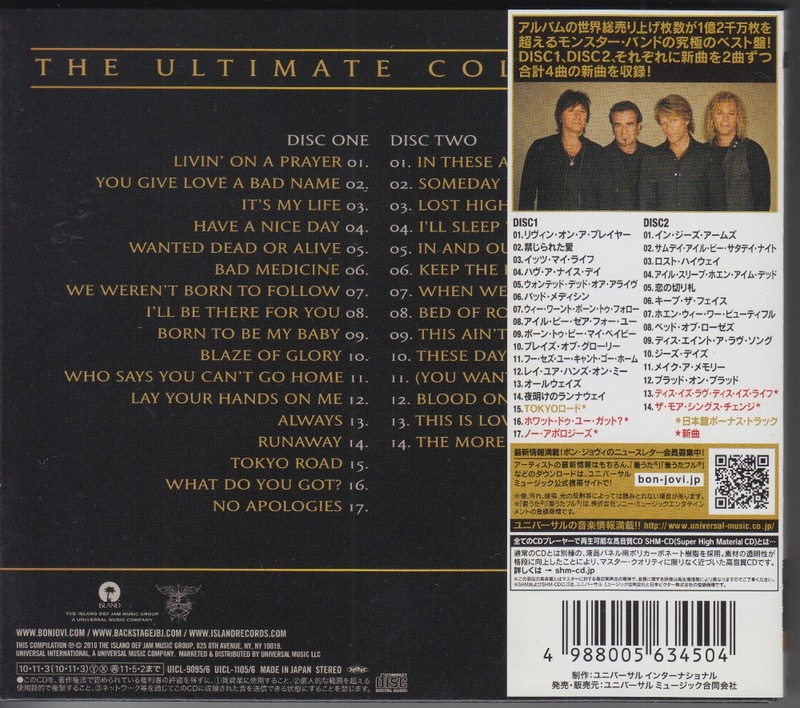 JAPANESE Edition 2-Disc SHM-CD (Super High Material CD). 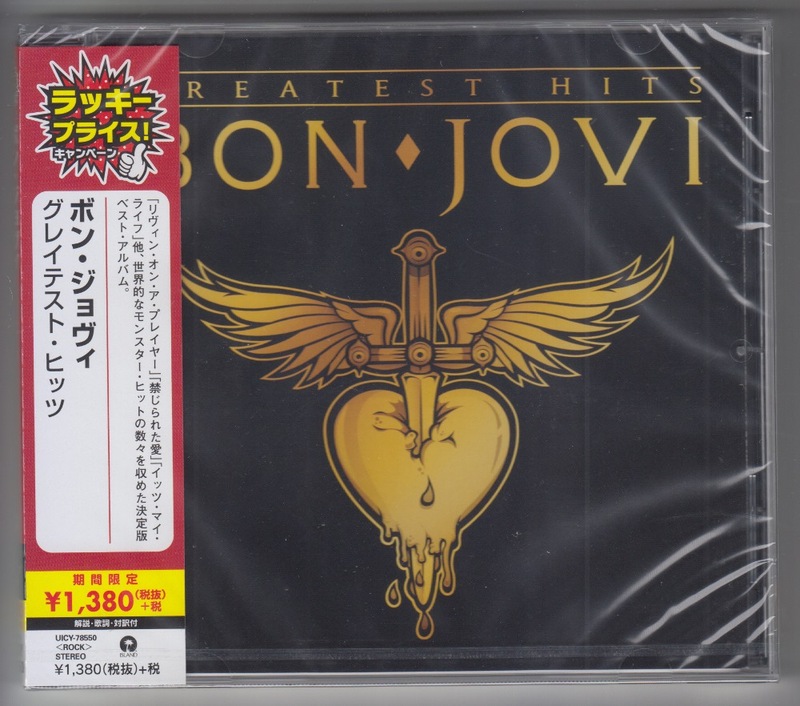 Special price for first time production only. 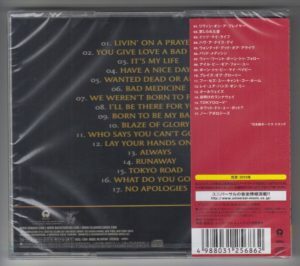 Tokyo Road is a bonus track containing only Japanese version. PHILIPPINES 2CD Edition. 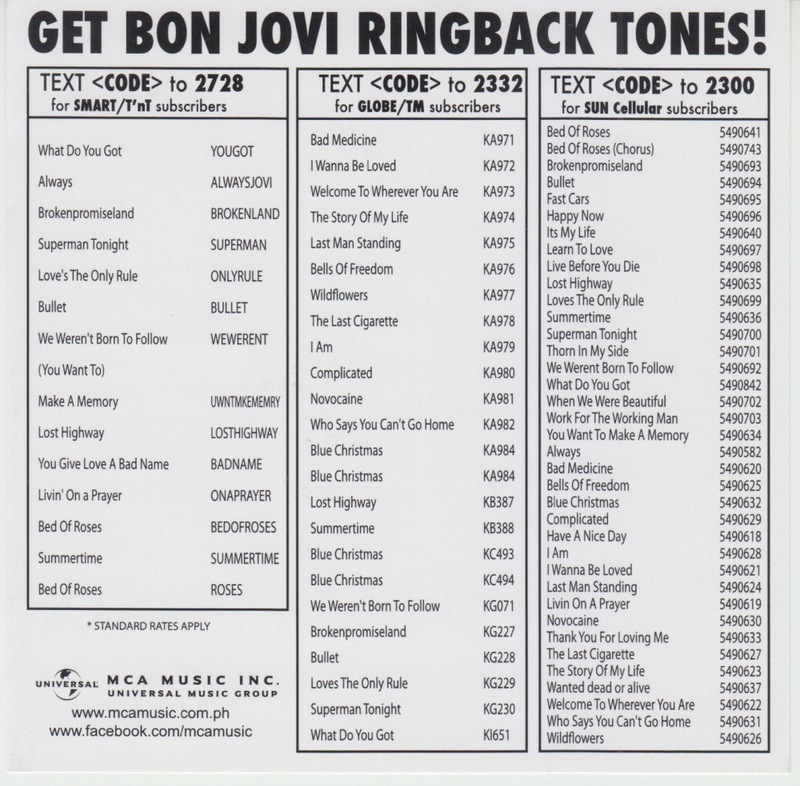 Includes a list of telephone ring tones (ringing tones heard by the caller) by songs of BON JOVI. USA regular 2 CD. 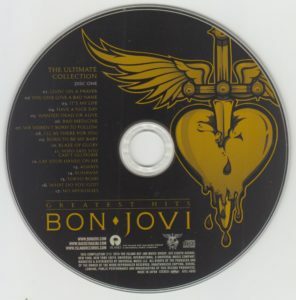 Plastic case not digipack. 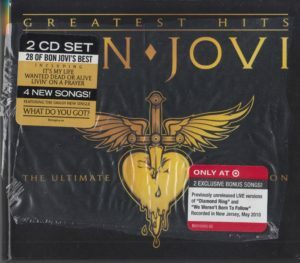 USA, Target 2CD Edition. 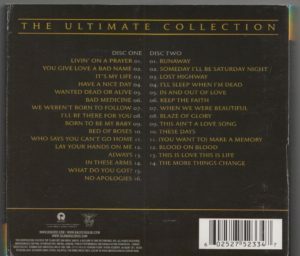 With 2 bonus tracks. 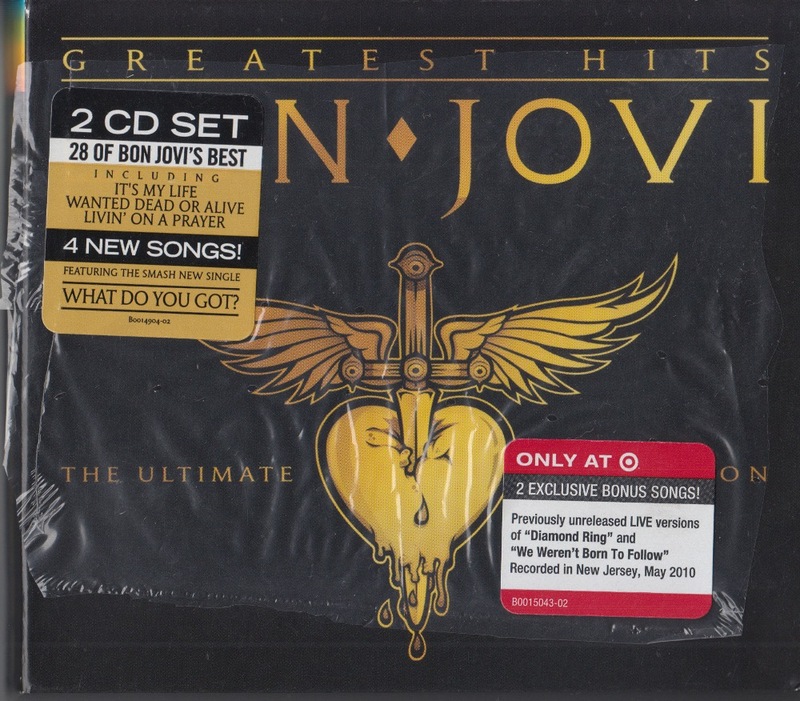 USA, Target Edition. 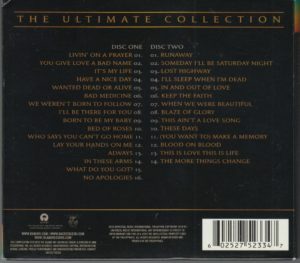 With 2 bonus tracks.